Speaking with EURACTIV after last week’s two-day meeting of the EU-Azerbaijan Co-operation Committee in Baku, Karim acknowledges that the thaw is a relatively recent one. Relations between the two Parliaments were effectively broken off in 2015 following a series of highly critical resolutions by the EU assembly which focused on allegations of corruption and human rights abuses by the Aliyev regime. “I met with President Aliyev yesterday after two years, and when I met with him before we were in a very, very different position,” says Karim. “You can’t function without the parliamentary dimension. Thankfully we were able to reinstate that dynamic of our relations,” he adds. Another diplomatic row was prompted by the visit to the disputed Nagorno-Karabakh territory by Swedish centre-right MEP Lars Adaktusson in January, with Azeri government authorities threatening to blacklist Adaktusson from visiting the country. “When you have a situation where MEPs are going to Nagorno-Karabakh and trying to portray that they are there officially on behalf of the European Parliament, this is not acceptable. It’s not acceptable to us as a European Parliament let alone to Azerbaijan,” says Karim. The parliamentary delegation meets alongside negotiations on a new EU-Azerbaijan pact which began in February 2017, with a view to replacing the 1996 partnership and cooperation agreement. Officials on both sides say that talks are progressing well, while Karim, and his Azeri co-chair Javanshir Feyziyev, say that a draft deal is likely to be ready for ratification in late 2019/early 2020. “Regional destabilization,” is the main potential stumbling block to an EU-Azeri pact, says Karim. “The role of Russia… could fundamentally destabilise the region and therefore the ambitions of the region and the agreements that countries within the region are able to reach with others,” he worries. Russia strongly supports Armenia, with whom Azerbaijan is technically at war over Nagorno-Karabakh. The geographical proximity to Russia has led some to argue that Azerbaijan has tried to forge a path of equidistance between Brussels and Moscow. Azerbaijan is now marketing its capital city Baku as the Dubai of the South Caucasus region – a free trade hub at the heart of China’s ‘belt and road’ initiative aimed at connected east and west, and Karim points to this, as well as the country’s burgeoning energy sector which could offer European countries an alternative to Russian oil and gas, as the main potential benefits of closer partnership to the EU. “It also has the opportunity to be a real transport hub and a link between east and west, north and south. It’s certainly in Europe’s interest to be part of the attainment of those ambitions, but of course the regional situation is the regional situation and it will be a great pity if negative forces are unleashed that either slow that down or prevent it from happening,” says Karim. 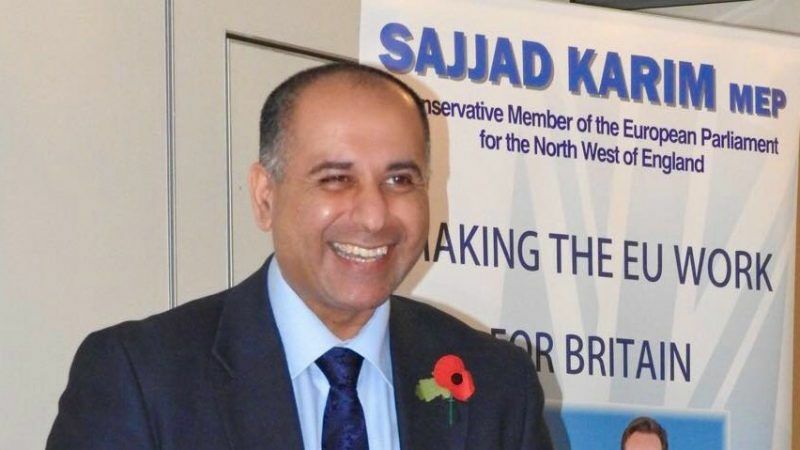 Sajjad Karim is not a “leading MEP”. He’s a ninkempoop!